Aaron Cole November 30, 2017 Comment Now! The 2018 Jeep Wrangler is here, and even if it’s the worst-kept secret, it’s still everything we hoped for—and more. The looks haven’t changed. The interior feels like it can still be dipped in mud. And just look at it: just climb a friggin mountain in it already. Let’s go over the details, because that’s where the biggest changes have been made. 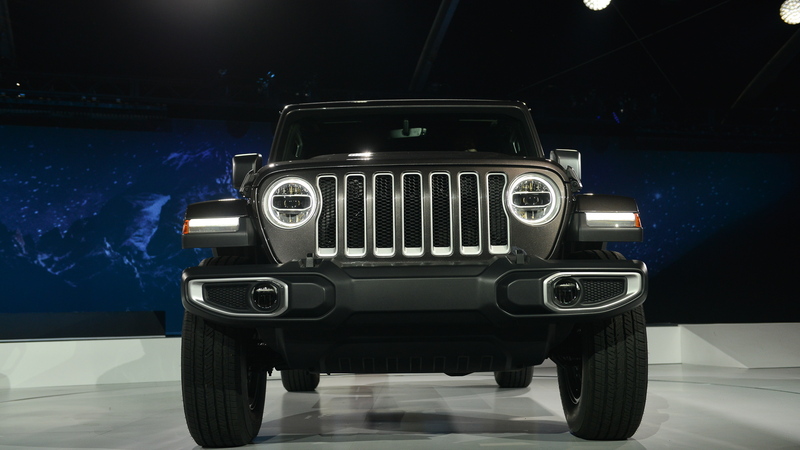 The Wrangler still wears the same seven-slot grill and round headlights, but these lights are available as LEDs and so are the taillights. The windshield still folds down, but it has a steeper rake to better cut through the wind. Jeep engineers added aluminum where they could to cut down on weight, like for the doors and the hood, but they didn’t go overboard. 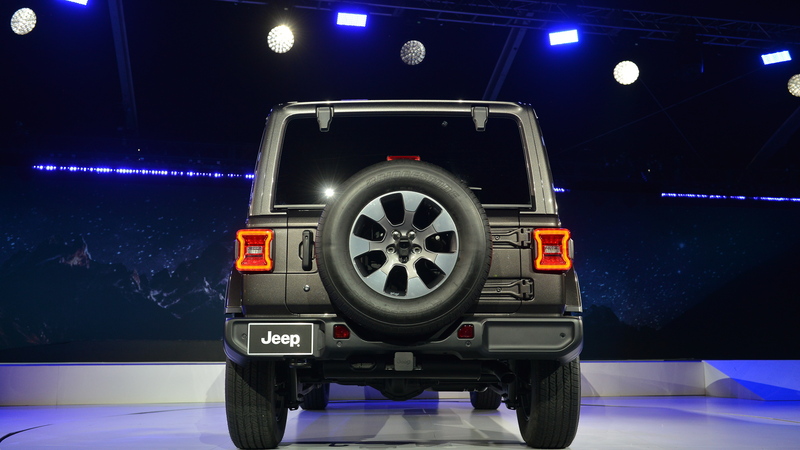 And the biggest changes actually happened under the hood, where Jeep now offers three different engines—up from just one. The tried-and-true 3.6-liter V-6 is the base engine, but a 2.0-liter turbo-4 with a mild-hybrid system is newly available. A 3.0-liter V-6 turbodiesel is on its way, too—rock crawlers rejoice. But, if you want a manual, your only option for now is the gasoline V-6—the other two are automatic-only. Even if the Wrangler is a throwback to 1940s motoring, the new one doesn’t skimp on the creature comforts. It offers a power-folding fabric top, a heated steering wheel and seats, and leather. Don’t worry, there’s still a base Wrangler stripper: hand-crank windows, no A/C, no touchscreen. Not willing to go that far? 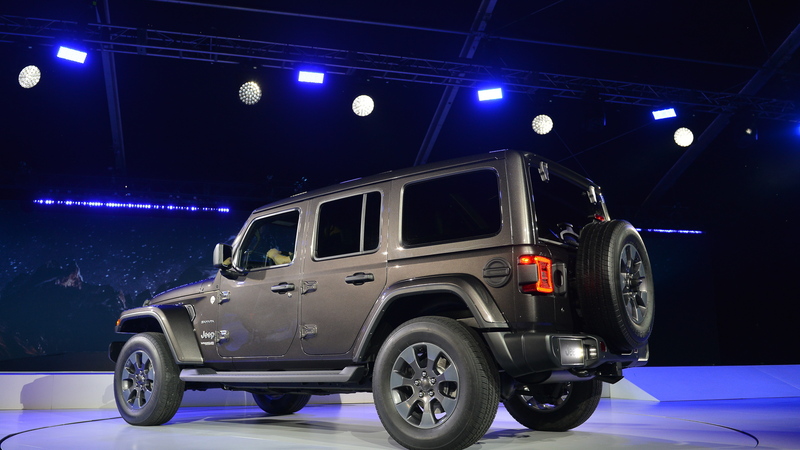 Most Wranglers will sport a 7.0 or 8.4-inch touchscreen and power features. 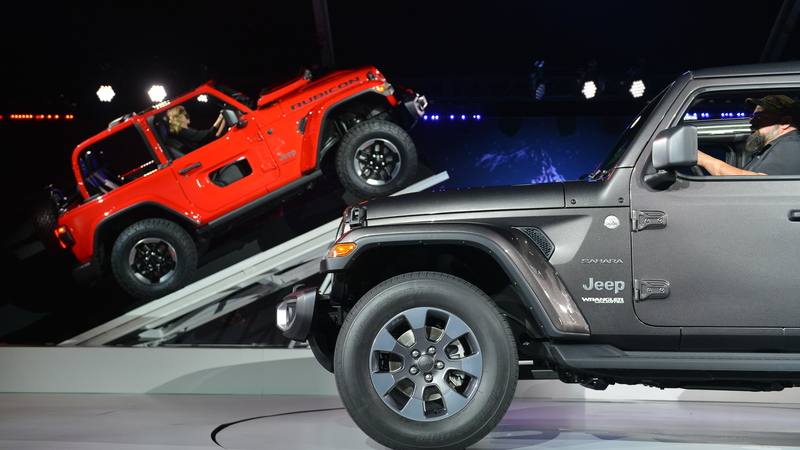 The Wrangler continues in in two- or four-door versions, the latter called Wrangler Unlimited. The doors and roof come off of both body styles, thank goodness. A Rubicon is on the way too with all the off-road goodies. We’re talking revised Dana 44 front and rear axles, a disconnecting sway bar, electronic locking differentials, and 33s. Mud will be its friend. 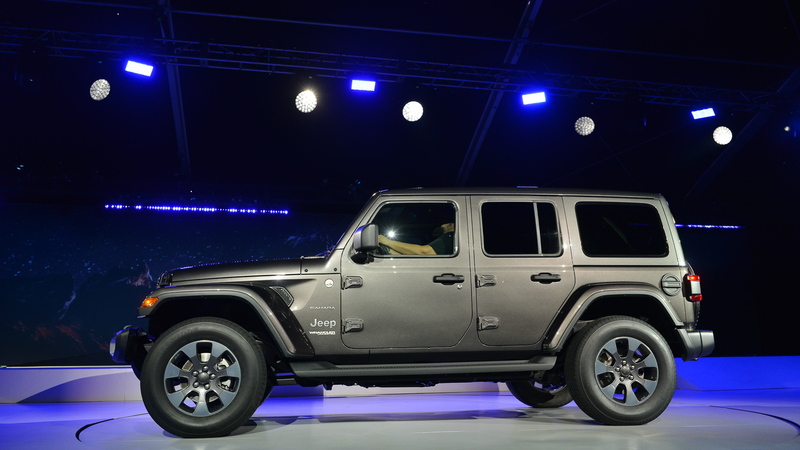 The 2018 Jeep Wrangler will arrive in dealerships in January, but Jeep isn’t talking prices just yet. But rest easy guys, it’s finally here.